Help raise awareness and save lives. Donate to the Sudden Cardiac Arrest Foundation today. Please select the amount of your recurring, monthly donation. Then select the fund you would like to support. If desired, you may donate in honor or memory of a specific individual or organization. You will be directed to PayPal where your secure transaction will take place. Thank you! Please select the fund you would like to support. You will be directed to PayPal where you can enter your one-time secure donation amount. Thank you! Thank you for supporting the Sudden Cardiac Arrest Foundation, a national 501(c)(3) nonprofit organization (EIN 43-2093206), originally incorporated as the Sudden Cardiac Arrest Network. Our mission is to raise awareness about sudden cardiac arrest and help save lives. To support our lifesaving programs, please consider joining one of our 12th Anniversary Giving Circles, listed below. All donations are tax deductible. Visionaries' Circle: $10,000 or more. Donations may be made in celebration of the 10th anniversary of Joe Farrell's survival from sudden cardiac arrest, which occurred on August 9th, 2008. Donations will be directed to the general fund to support the programs outlined above. See the request from Joe and Edie Farrell here. Donations may be made to support the Adam Greenlee Foundation Fund, a donor-advised fund named in honor of Adam Greenlee, Jr., who survived sudden cardiac arrest at his middle school in January 2014. Donations will be used to support AED deployment for youth sports teams and other non-profit groups. Read Adam's story here. 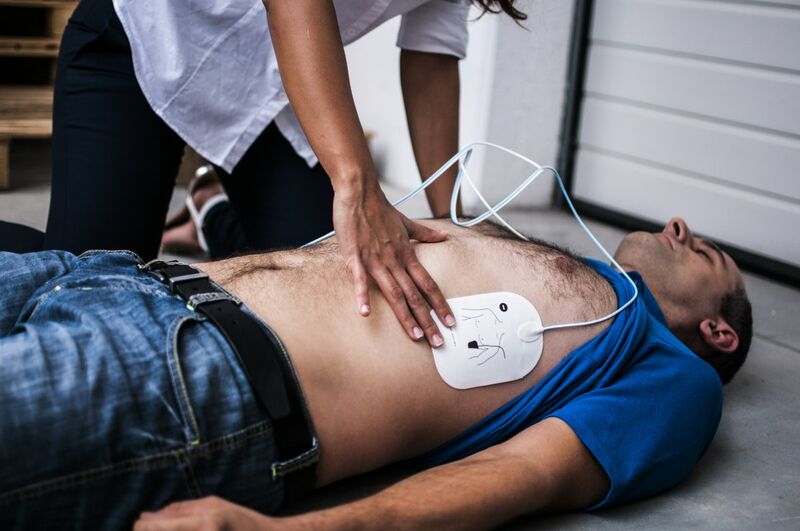 Thousands of lives could be saved each year if more people understood sudden cardiac arrest and the simple things anyone can do to save a life. We are conducting quantitative and qualitative research to identify the most effective ways to communicate with the public about the urgent need for laypersons to recognize sudden cardiac arrest when it occurs and take immediate action. This information will be used as the foundation for development of a public awareness campaign. Send a check to the Sudden Cardiac Arrest Foundation, 7500 Brooktree Road, Wexford, PA 15090. On the memo line, please indicate whether your donation is for general support, the Joe Farrell 10th Anniversary Celebration Fund, the Adam Greenlee Foundation Fund, or the Public Awareness Research Fund, and whether your donation is being made "in honor of" or "in memory of" a loved one. Donations may be made through United Way of Allegheny County (Account No. 9940420) or your local United Way. Federal employees (civilian, postal and military donors), retirees, and civilian annuitants may select the Sudden Cardiac Arrest Foundation (CFC number #87197) and make a one-time gift or choose payroll deductions. Consider a gift of stock. To donate stock, contact PNC Bank, Wexford, PA, 724.934.7555. Questions? Contact the SCA Foundation at 724.625.0025. The Sudden Cardiac Arrest Foundation accepts online donations using PayPal. You do not need to register with our site or have a PayPal account to make a donation. Simply select a donation type (recurring monthly or one-time) and fill out your details using the forms above. You will be directed to PayPal.com to finalize your donation. PayPal accepts Visa, MasterCard, Discover, American Express, and donations from PayPal account holders. If you experience any issues when making a donation using PayPal, we suggest that you review PayPal's Online Help or Contact PayPal directly. When reporting issues to PayPal, please reference Source: sca-aware.org. If you would like us to assist you with your donation, please contact us at info [at] sca-aware [dot] org (subject: Donations) or 724.625.0025. Please indicate whether your donation is for general support, Joe Farrell 10th Anniversary Celebration Fund, Adam Greenlee Foundation Fund, or Public Awareness Research Fund, and whether your donation is being made "in honor of" or "in memory of" a loved one.